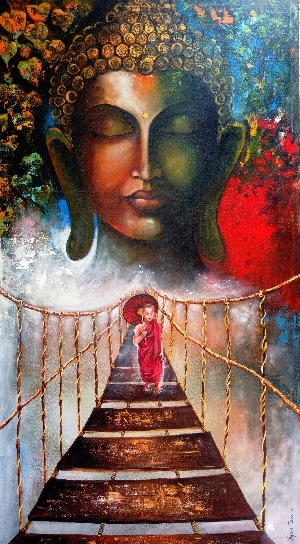 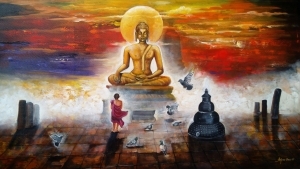 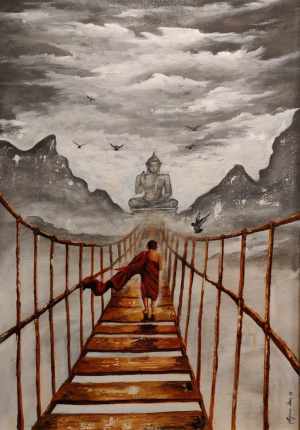 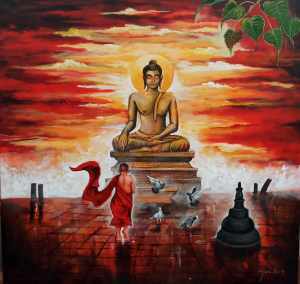 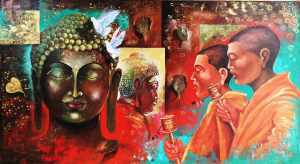 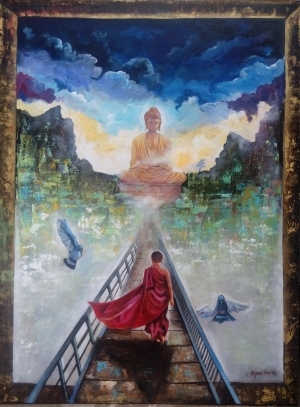 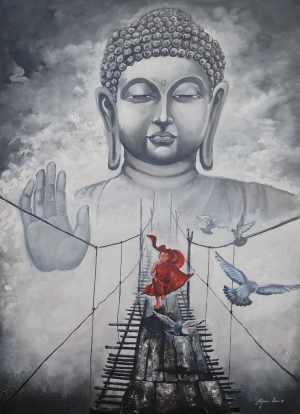 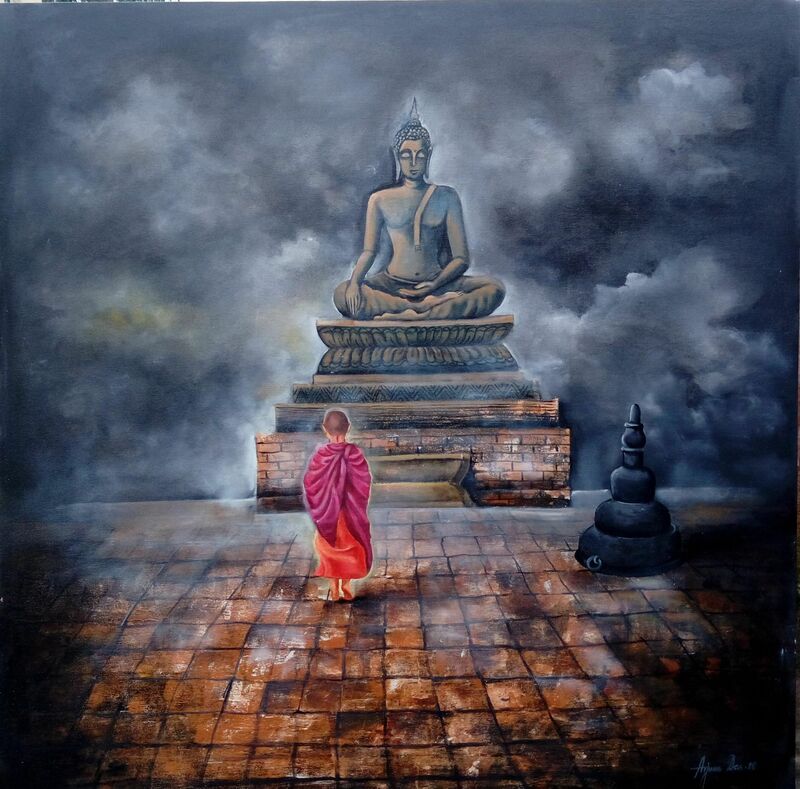 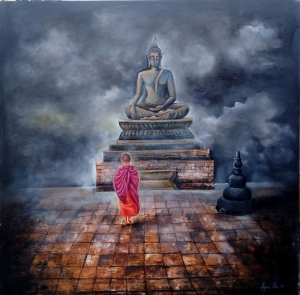 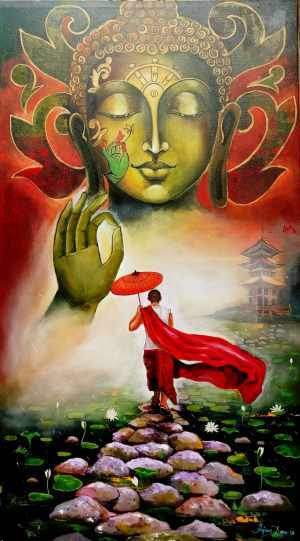 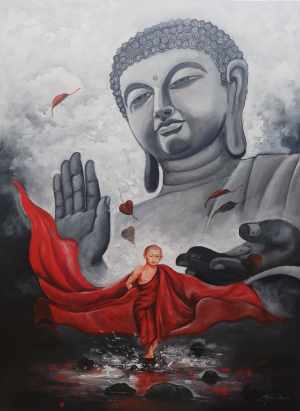 It shows a monk going under the spell of buddha. 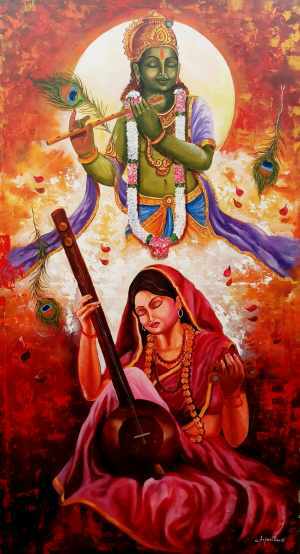 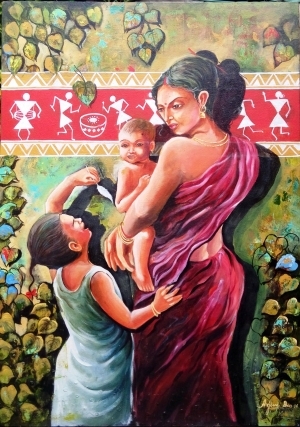 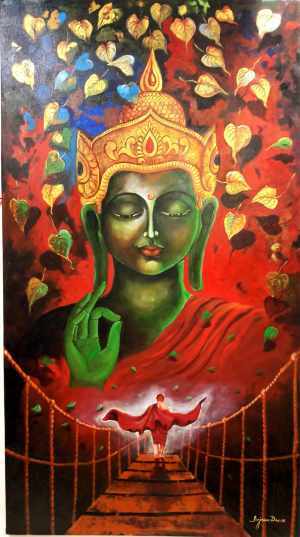 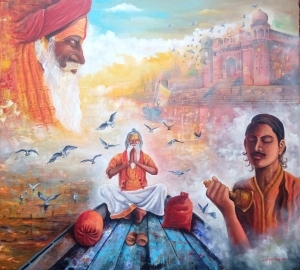 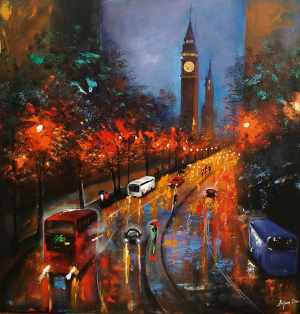 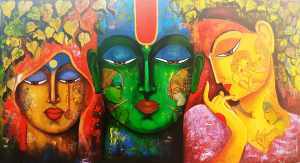 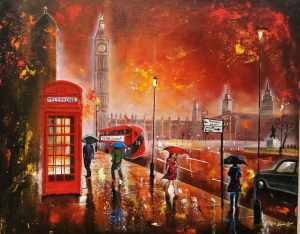 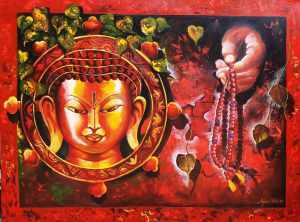 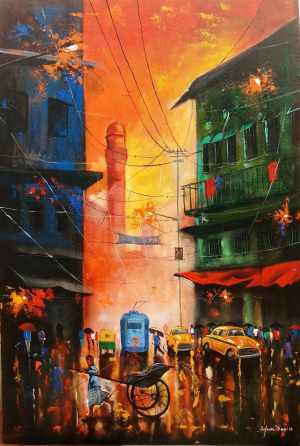 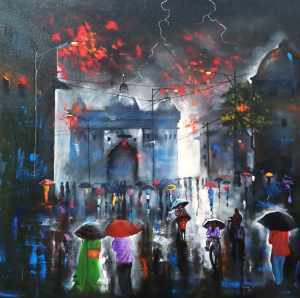 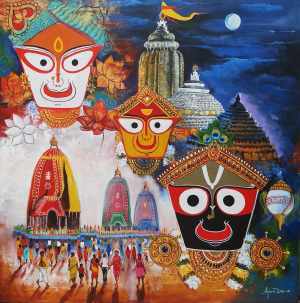 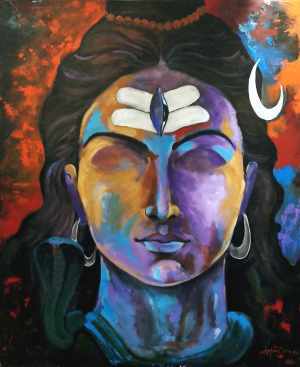 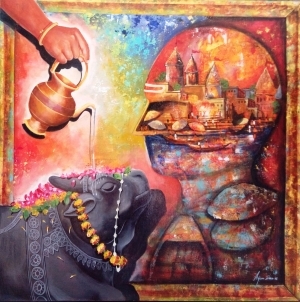 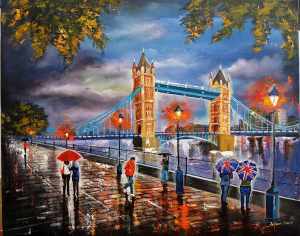 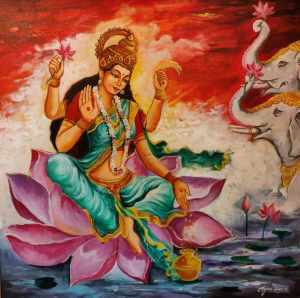 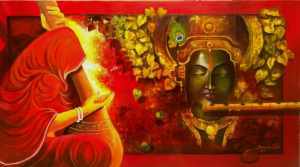 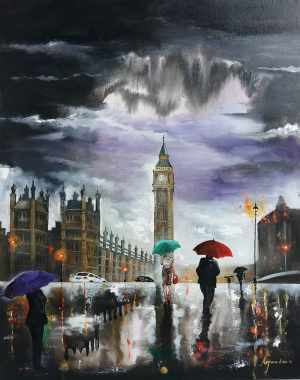 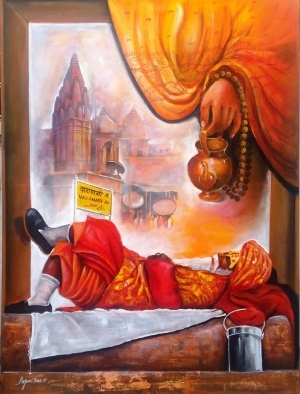 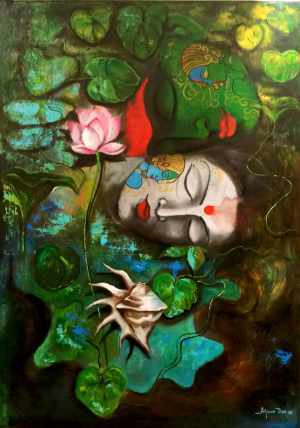 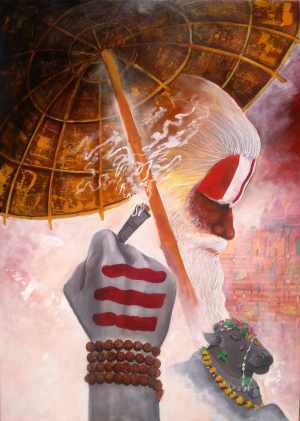 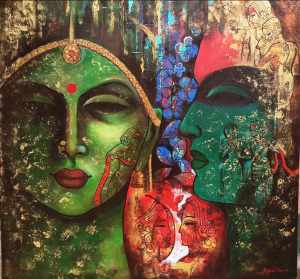 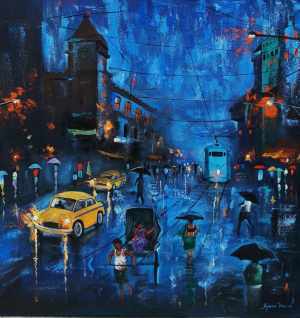 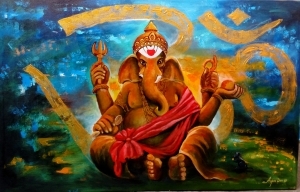 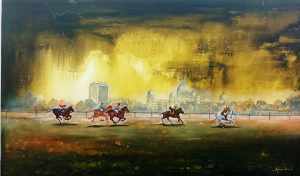 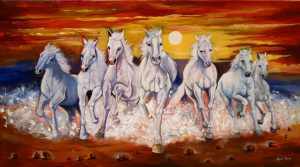 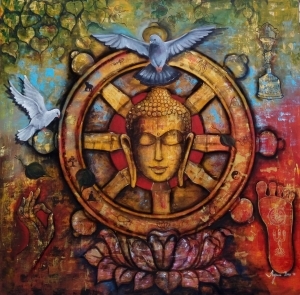 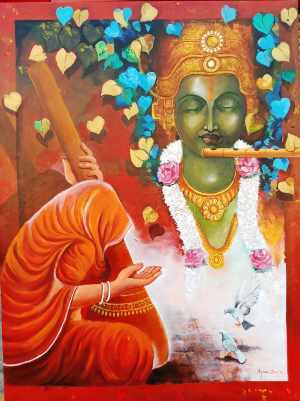 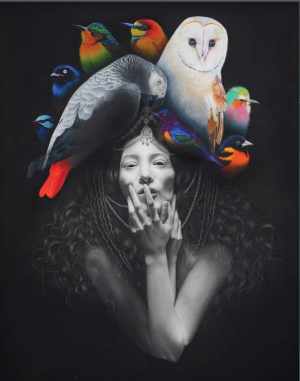 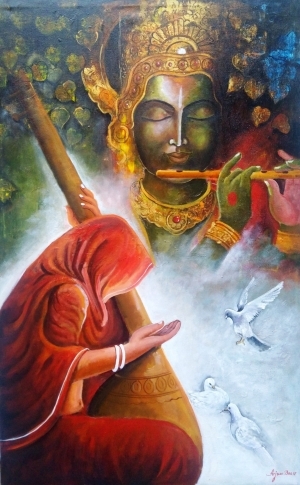 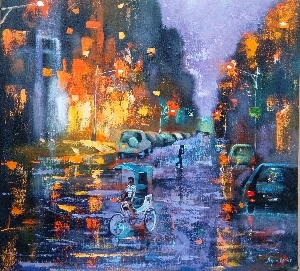 Artist has paid special attention to the detailing, which is evident on every brush stroke of the painting. 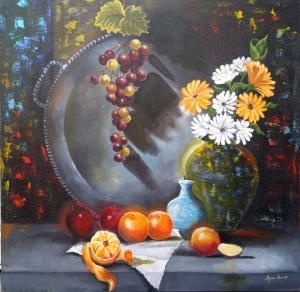 It has a fine texture that adds to its visual appeal.